Modern or timeless? Formal or fun? Make waves with a color inspiration that gives you the best of both worlds. Ocean inspired hues go a long way when yacht-club-classic navy is paired with youthful teal and crisp white, creating a look that is refreshing and semi-nautical, without going overboard. Awesome! 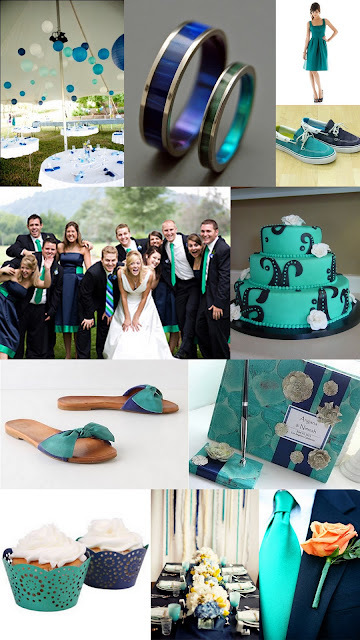 Just was in the bridal party of a wedding with teals, blues, and purples as the colors...and our dresses were the ones that you've got in that teeny photo! They were awesome!